Please let me introduce myself, I am Joseph Sabeh, Jr. a full time licensed professional Realtor. I have been with Executive Homes Realty for over 17 years and was trained by my late father and Broker, Joseph Sabeh. I incorporated the company and we moved the office to 43513 Mission Blvd and I could not have found a more honorable place to work. Having sold numerous homes ranging from condos to 6 million dollar homes, it allows me to help virtually any buyer or seller’s needs and wants. After earning my experience selling high end Ralph Lauren suits and studying business management in Southern California, I decided to pursue my dream of selling real estate and working with my father. He had already had such an excellent reputation and established a niche market of high end clientele that catered to the very best. I wanted to become the consummate professional just like him and have strived to become just that being just a phone call or email away from getting back to my client’s immediate needs! Known by my clients for my tenacity, perseverance , and excellence in negotiation(Certified Negotiation Expert), I have always strived to meet my clients high demands and goals. As a result of my professionalism, I have achieved an extensive portfolio of referrals from past and present clients. I credit my current values from my upbringing of my parents and the credit is due to them without question. Their integrity, pride, and willingness to sacrifice for the better of my life and my sister’s always left a mark on me that one day I will pass on. Their desire to achieve a better life and live it to the fullest is one that some families dream of and I certainly am appreciative of all of the education and etiquette I have learned from them both. In May of 2017, I took the company in a different direction and decided to merge with Sotheby’s International to give it more of a global reach. With the outstanding reputation and marketing that Sotheby’s brings combined with the existing name and clientele that Executive Homes has, it was a match made in heaven. We became the Executive Homes Group. I am looking forward to more growth with my team and new agents joining our Fremont office for years to come. 2009 Grand Master Award Recipient? 2015 Grand Master Award Recipient? "Joseph Sabeh was an amazing agent for me. He helped me buy my dream home in a hot market and did it against incredible odds! I wanted to buy this fantastic home and sell my rental to purchase it , and he had advised me that we were going up against multiple offers. He was also the listing agent for that home and gave me a strategy with regards to how to structure the offer to make it attractive to the sellers. We beat out multiple offers and I was able to acquire my beautiful home with vegetable gardens! But it didn’t stop there. Joseph knew we were on the clock once the deal was accepted and he immediately took action upon seeing my rental. It needed quite a bit of updating and he had his team of contractors and landscapers come in and give competitive bids that I approved of. Within 2 weeks, he made my rental look like a model home , that I almost did not want to sell! He staged it beautifully and had an amazing photographer ,who also shot a fantastic video with Joseph in it introducing the home! According to Joseph, he had over 150 people at the open houses that weekend and we accepted a pre emptive offer that Sunday night after the second open house as I decided not to wait. He got me $141,000 over asking for my home in less than 8 days on the market and we were able to close on time for the purchase of my dream home! Thank you for everything you have done Joseph ! I will refer you to all of my friends and family in the future!" 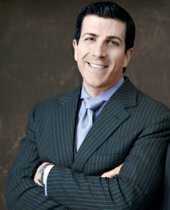 "Joseph was a phenomenal partner in the sale of my condominium in San Francisco. Can't say enough about his patience, diligence, and thoroughness. He was incredibly helpful walking me through the terms and thought process, as it was my first home sale, and in helping us time the sale right. Joseph had great communication and transparency throughout the process. On the dollars and cents side, it stands to reason that two others units in my building went up for sale in the months before mine, and neither received competitive offers - one closed for 50K under asking and the other didn't sell. But Joseph, through careful timing, positioning, and salesmanship, got me ample premium over list price." "Joseph found our family the perfect house. 60 other bids came in and his dedicated work got the winning bid. He knew what offer to come in at and it worked. If we were to ever buy/sell another home I would only use him as our realtor. He strongly urged us to buy land size over house size and our house has doubled in value in 6 years."